Kristen Towery was diagnosed with rheumatoid arthritis with overlap symptoms of lupus in 2015 after living undiagnosed for over twenty years. After so many years of searching for answers to her vague, unexplained symptoms, diagnosis was a victory for Kristen. And, while she has yet to find a consistently effective medication, she is working to manage her disease and living a better life now that she has a name for her illness. Kristen’s personal experience with autoimmune arthritis, coupled with her husband Stuart’s struggle with psoriatic arthritis, has inspired her to volunteer and advocate for others with arthritis and autoimmune disease. In 2017, she formed a team for her first Walk to Cure Arthritis, winning “Rookie Team of the Year.” She now serves on the WTCA Committee, chairs the Live Yes! Network on the Arthritis Foundation’s local leadership board and will lead Team Closing in on a Cure for a third year in a row in 2019. 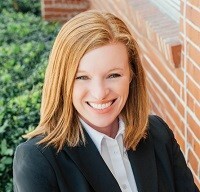 Kristen lives with her husband Stuart and two Chihuahuas in the Westchase area of Tampa and is a residential real estate advisor with the Towery Group at Keller Williams Tampa Properties. Her team name – Closing in on a Cure – is a nod to her profession, and she hopes that the 2019 WTCA will be her best fundraising event yet. Kristen is proud to be serving as the 2019 Adult Honoree in Tampa. During the summer of 2017 the Warrell family took a road-trip to visit family in other states. After long car rides they noticed that their daughter, Julia, would "stiffen up" in her legs and would be unable to move them. They unknowingly chalked it up to growing pains and the long car rides. As time went on Julia would wake up in the morning unable to move her legs and would sometimes have to use a wheelchair. Julia was referred by her family doctor to a Pediatric Rheumatologist in February 2018, where she was diagnosed with Juvenile Idiopathic Polyarticular Arthritis. She immediately took on a "She-Warrior" role and decided that this diagnosis was not about to set her back! She participated in the Walk to Cure Arthritis, spent a week at JA summer camp at Campy Boggy Creek, and even went to Conference in Washington DC. She continues to not shy away from her diagnosis and, while some days are better than others, she fights hard to balance her diagnosis with being a thoughtful, playful 11 year-old girl. She loves making YouTube videos, creating slime and playing with friends. 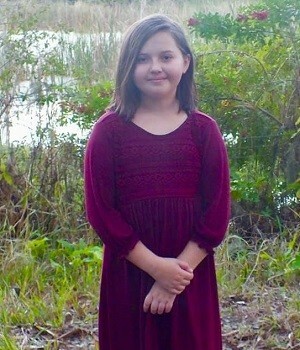 Julia is excited to be the Youth Honoree for the 2019 Tampa Walk to Cure Arthritis. Please join or support her team Julia's Walking Warriors.